Location couldn't be better! Beautiful panoramic views await you daily in this 4 BR (one non-conforming) 2 BA raised ranch on 6 ac m/l. 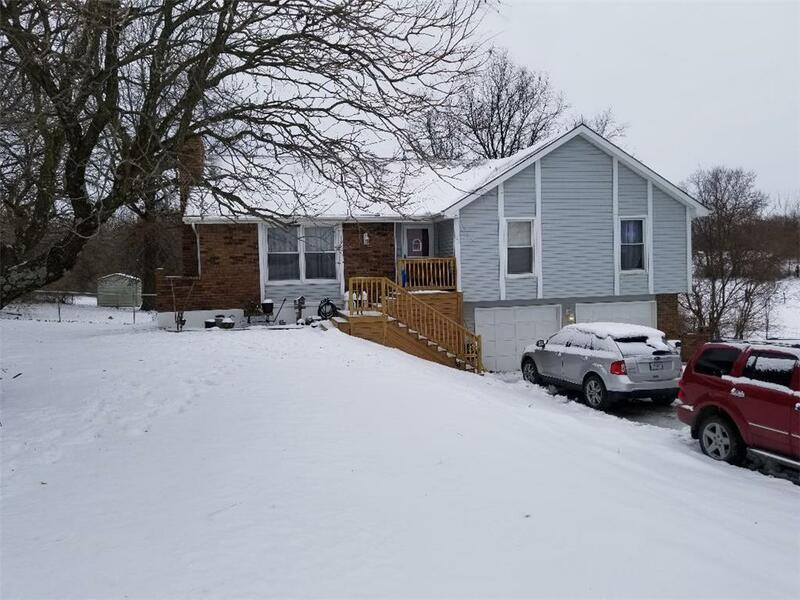 Home offers a WBFP, vaulted ceiling w/lots of new updates including rustic wood look tile floors, blk chrome stove & micro, new paint throughout most of home, new front porch/deck & much more. Nice 50x90 insulated metal outbldg w/partial wiring completed & an extra sturdy concrete floor.Itâs just a great place to call home, so call it yours today. Motivated Owner/Agent. Directions: I-35 N to 69 Hwy exit. Stay on 69 N to D Hwy (Lawson). Turn R onto D Hwy. Follow to Clark St. Turn R onto Clark St. Stay straight to home on R. (Clark St becomes Nike Base Road).